Welcome back to Day 3 of Verve’s March Spotlight Hops! The Verve Divas and special guests are back for another day of spotlighting our new release! Everything previewed this week is available to order in the Verve online store. 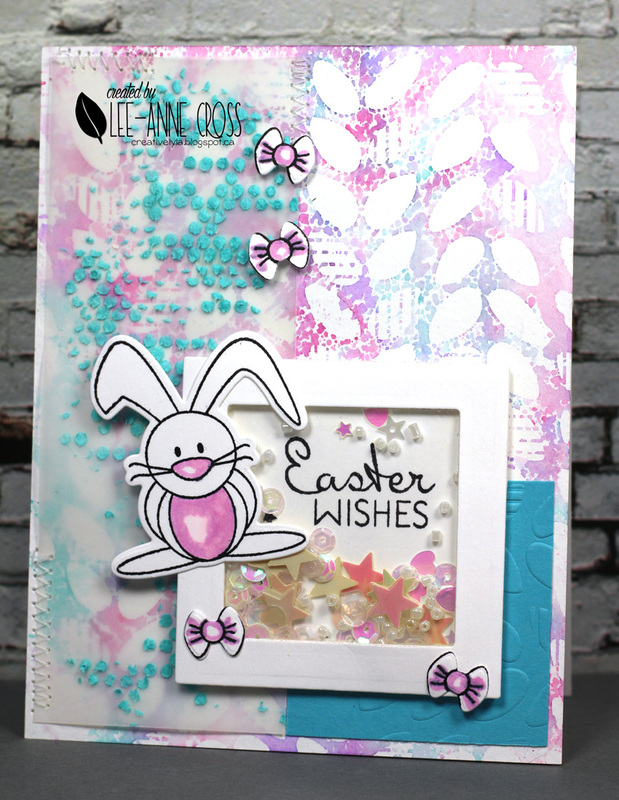 So come hop along and take a closer look at Hip Hop Bunnies, the Bunny Hop die set and the Welcome plain jane. Want to win some shiny new Verve? We’ll be picking a random commenter on one of the hop spots below to win today’s featured products! So be sure to leave a little comment on all the blogs below to increase your chances! Check out the Verve Blog today for the full hop list, a little more about our new products and all the prize info and deadlines! Had lots of fun creating this mixed media Easter card 🙂 I’ve used the Viva la Verve sketch for this week. 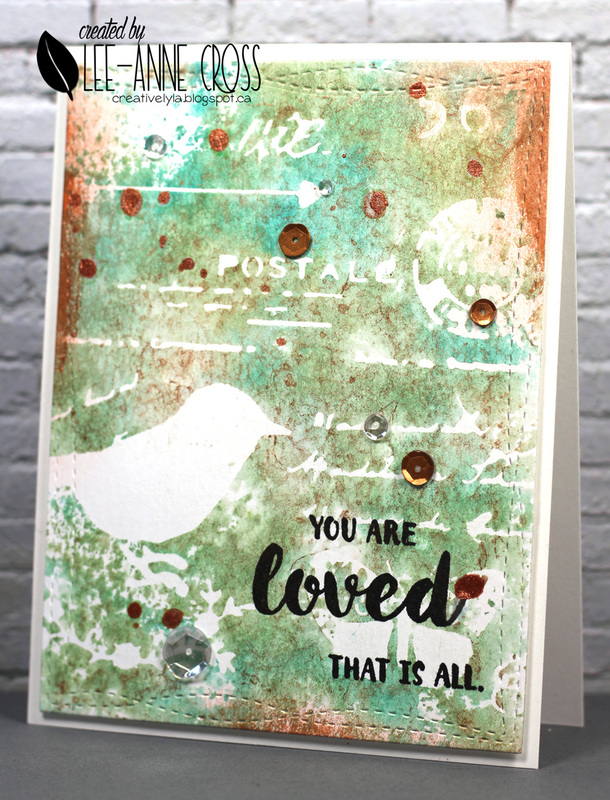 The background is a stencil monoprint created with a stencil and three shades of Distress Inks. If you’ve never tried this quick and easy way to make a background, here’s my tutorial. Then I mixed up some fiber paste and ink and stenciled a piece of vellum. The vellum piece was machine stitched to my background. 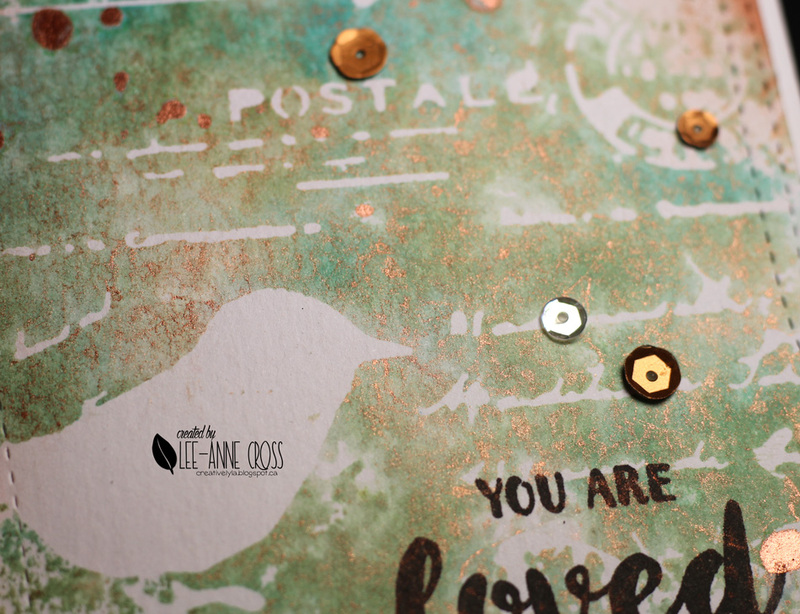 A little square of turquoise paper was embossed with the same stencil as was used in the background for even more texture. Don’t you just adore this bunny? hehehe There are two more darling bunnies in this set 🙂 It has been die cut with the coordinating die from the Bunny Hop Die Set and colored with Copics. The same goes for the little bow ties around the card. And for the sentiment, just a quick little shaker design filled with pretty, sparkly stuff. Your next stop on the hop is Mackie…enjoy! Here’s the complete list if you’ve gotten lost along the way. Don’t want you to miss out on the fabulous prizes!